Does the Ridgeland roundabout have you going ‘round and ‘round? 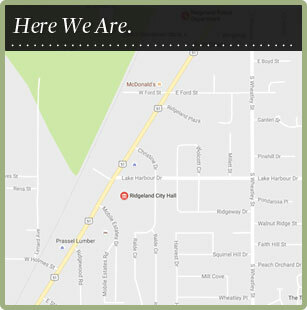 The City of Ridgeland recently published an informational brochure to get you going in the right direction. The “Driving the Ridgeland Roundabout” brochure seeks to educate you about Ridgeland’s roundabout located at the Highland Colony Parkway/Old Agency Road intersection, just west of I-55. Roundabouts reduce traffic congestion and delays by keeping vehicles moving through an intersection around a center island. As a driver, don’t let the circular design throw you for a loop. Approach the roundabout like a traditional intersection by selecting and moving your vehicle into the correct lane well before you enter the roundabout. If you want to continue straight, you may choose either lane. If you want to turn right, you will need to get in the right lane before you reach the roundabout. Left turns must use the left lane only, just like when driving through a traditional intersection. Still spinning in circles? Pick up a copy of the brochure at the Ridgeland Police Department, Ridgeland City Hall or download it here. The City of Ridgeland highly recommends that you also view “How to Use a Roundabout” video produced by the Mississippi Department of Transportation. For questions, please contact the Ridgeland Police Department at 601-856-2121.